Share what you have learned about PRP as a patient or caregiver. Share what you have been told by your dermatologist? Share articles you feel might be worth reading or websites worth visiting. When you have information t share, please email your “sharings” to editor@prpSurvivalGuide.org. What do you all recommend for itching scalp? For me, the prescription Clobetasol worked amazingly for the itch. Just did nothing for the dandruff. Now my scalp is about the only place that doesn’t really itch. And my scalp had been intensely itchy…Ketoconazole is an antifungal, so it probably would work for some types of dandruff. Clobetasol is in the corticosteroid category. I was lucky that Ketoconazale 2% shampoo worked. Applied to scalp and left it there for 5 minutes. Then rinsed. Used ketbonazole for dandruff – the itch relief was just an extra. Used Clobetasol and urea lotion on palms and doles. again. Ketoconazole 2% w/w shampoo can be purchased over the counter in the UK. The brand name is Nizoral, but Boots produce their own version of this product which is slightly cheaper. Capasal Therapeutic Shampoo is also available over the counter. I tried the medicated shampoos prescribed by the dermatologist, but they didn’t work. So, I went to Head and Shoulders Clinical strength and it has made a big difference. The other shampoos I tried changed the texture of my hair, this didn’t. Really, what is PRP doing to us? I have absolutely no natural oils or moisture in my scalp or hair, and my head is not sweating. It actually never “feels” dirty. I tried everything. Clobetesol worked best, but after 5 years in remittance my scalp is the only thing that hasn’t cleared. Just used to it now. Hang in there – it does get better. Here’s a link to the Nutrogena website. THIS IN NOT A PRODUCT ENDORSEMENT. ✽ An estimated 50 per cent of North Americans have dandruff. ✽ Dandruff is most common in younger people and usually resolves by middle age, although it can persist later in life. 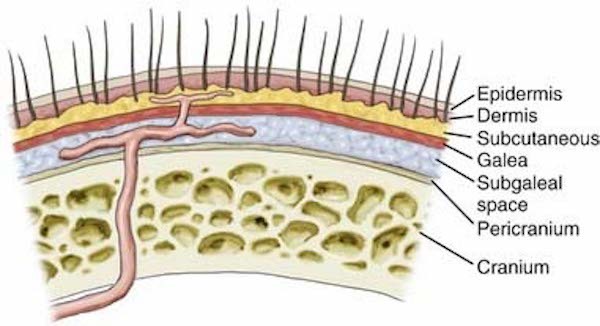 ✽ More men have dandruff than women, possibly due to hormones that produce more active oil glands and an oilier scalp. ✽ Medical conditions and certain medications can trigger or worsen dandruff and its variant seborrheic dermatitis. This third-party website recommended by Murray R, Surrey, British Columbia, Canada. Previous PostPrevious What support resources are available to PRP patients?